The technological environment in which software engineering education (SEE) resides and thrives continues to evolve. In this paper, SW4CSE2, a methodology for collaborations in SEE based on the Social Web environment, is proposed. The impact of integrating Social Web technologies, and applications based on these technologies, in collaborative activities that commonly occur in the context of SEE are explored. In particular, teacher–student and student–student collaborations, both inside and outside the classroom, are highlighted. In doing so, the feasibility issues in selection and adoption of technologies/applications are emphasized, and the use of pedagogically-inclined patterns is made. The potential prospects of such an integration, and related concerns, are illustrated by practical examples. In this section, motivation for collaboration in different SEE contexts is provided and related work in the area is briefly highlighted. There are a few preliminaries in order. This paper assumes a basic background in software engineering (Ghezzi, Jazayeri, & Mandrioli, 2003) on part of the reader. The terms Social Web and Web 2.0 are used interchangeably. 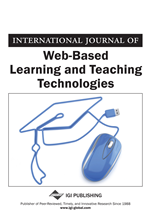 This paper considers Social Web technology and Social Web application to be different concepts, and considers Social Web applications to be a sub-class of social software. From the perspective of social software, a Social Web application is sensitive to the relationships among people and takes steps to cultivate those relationships. The name of a pattern is presented in uppercase so as to distinguish it from surrounding text.